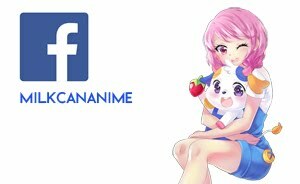 Here's the next addition to the Love Live! 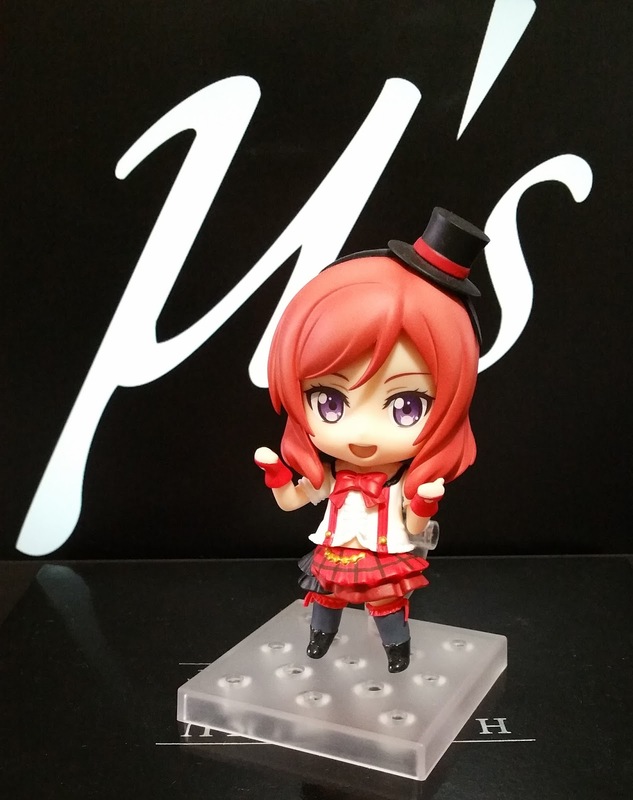 Nendoroid review list: Nishikino Maki! 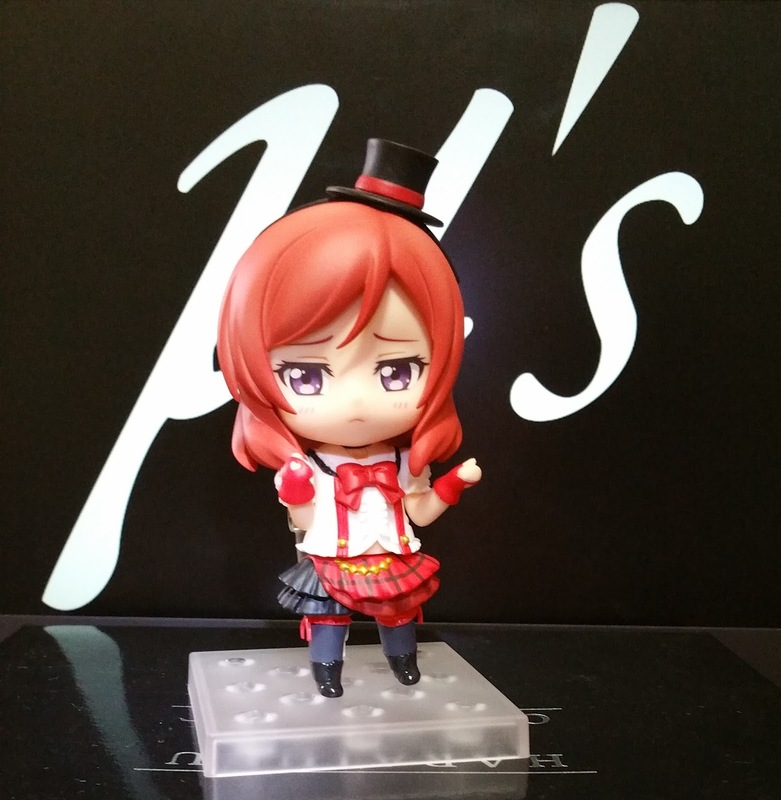 Always armed with an air of elegance, Maki also has another side where she turns into an easily embarrassed adolescent. And she hides it up by entering her infamous "Tsundere mode"! 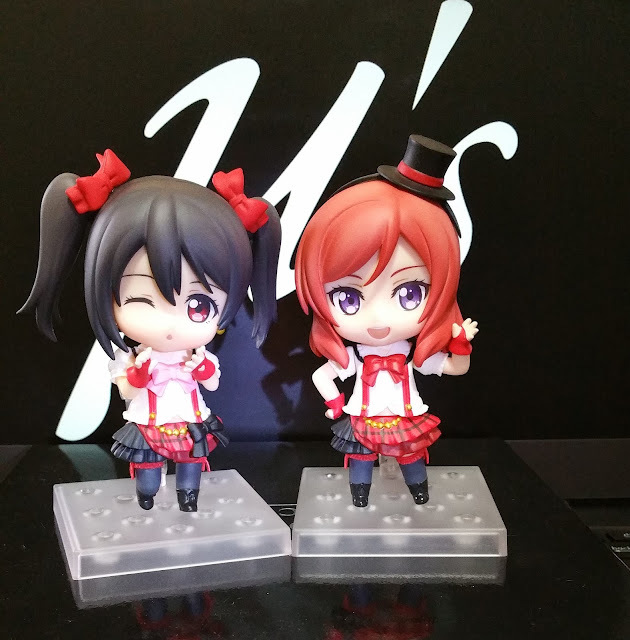 In fact, this Stage version Nendoroid of Maki brings these two versions to life and you are free to choose which side of her you would prefer displaying! 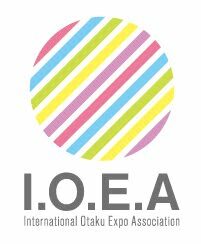 Maki's box is a mix of red-orange and purple, which are the exact colors of her hair and eyes. Sadly, the purple on the box doesn't seem to go as well with the red as her eyes do with the hair. However, looking on the bright side, this helps to make the words highlighted in violet stand out even more than they would with any other color or shade! 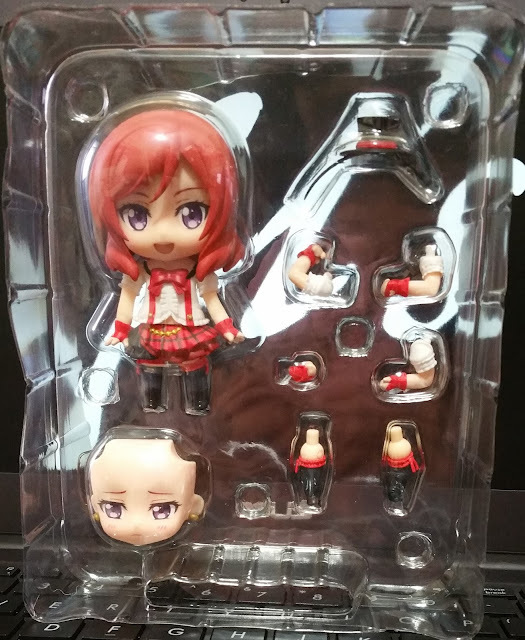 Maki comes with an additional embarrassed face-plate and a couple of limbs, of which one of the key hand would be the one to pose her twirling her hair. 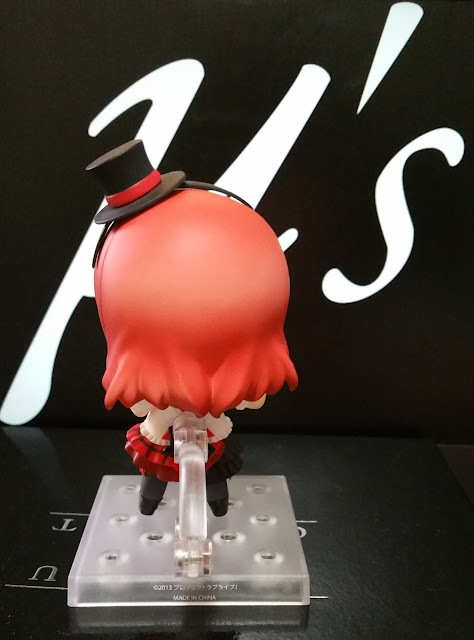 The main thing that sets her apart from the other Nendoroid in this line is the top hat which she comes with. As with most other Nendoroids, there is nothing special about this base. I didn't get the GSC exclusive stage base as I didn't feel that there was anything worth me paying 2000 yen for shipping (GSC has a flat 2000 yen EMS shipping to any oversea country), but now I'm regretting that decision a little. 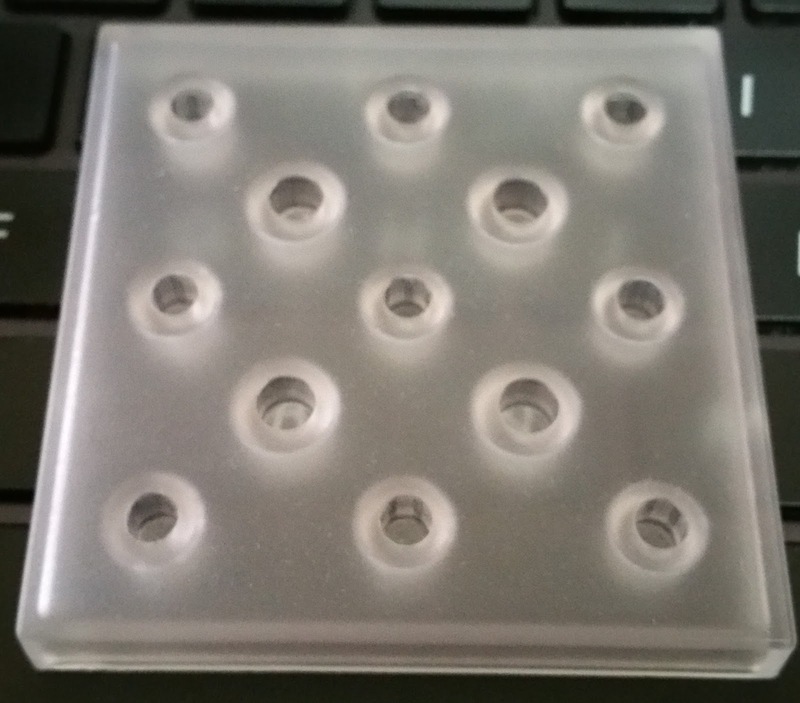 Those exclusive bases would have easily added variation and height to my Nendoroids without me needing to source for acrylic bases to do the same job! Posing is of no problem to Love Live Nendoroids as they come with many limbs that you can swap around to create all sorts of dance moves. Though, due to the severe lack of accessories, the variation between the poses you can set up is rather limited. With her embarrassed expression in place instead, Maki now looks like she's being forced to do a dance move she isn't sure whether she can pull off smoothly. 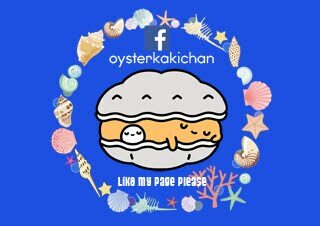 But if it's you, you can do it, Maki-chan! 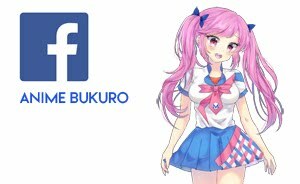 She just makes you want to cheer her on! Of course, you can also display her without her tophat for a more laidback feeling! Here I present... Maki-chan preparing for a full-dress rehearsal! Assembly is as usual, there's nothing to complicated or fancy about this The tophat has a piece of plastic which you wedge in between her front and back hair parts. Try to not damage the plastic too much or you might face troubles getting the hat in place in the future. 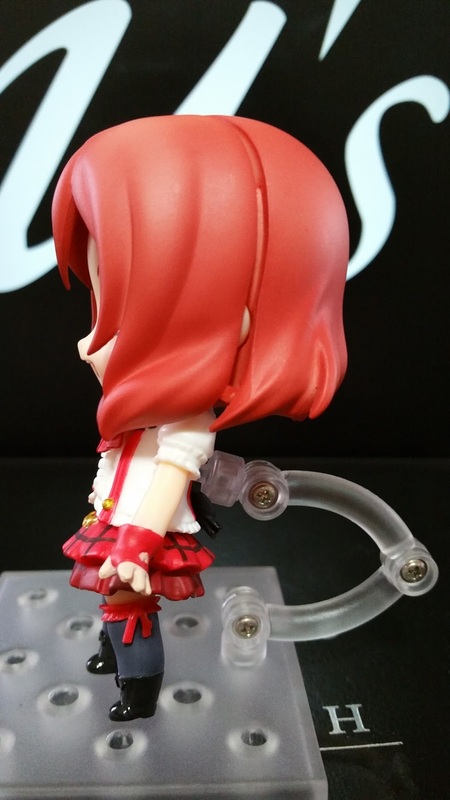 Let's take a look at Maki's hair sculpt. 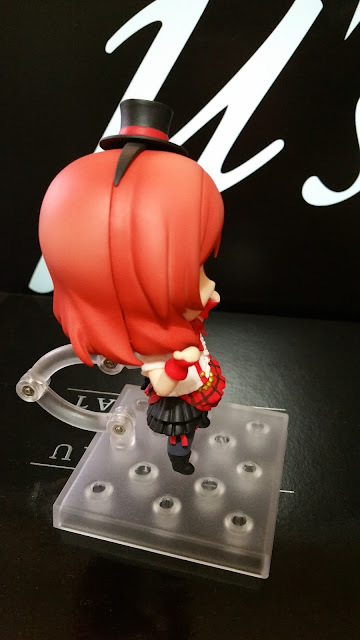 Though I wish that there were more details in the smooth part at the back of her head, the ends of her hair which gives Maki her unique hairstyle is carefully preserved. 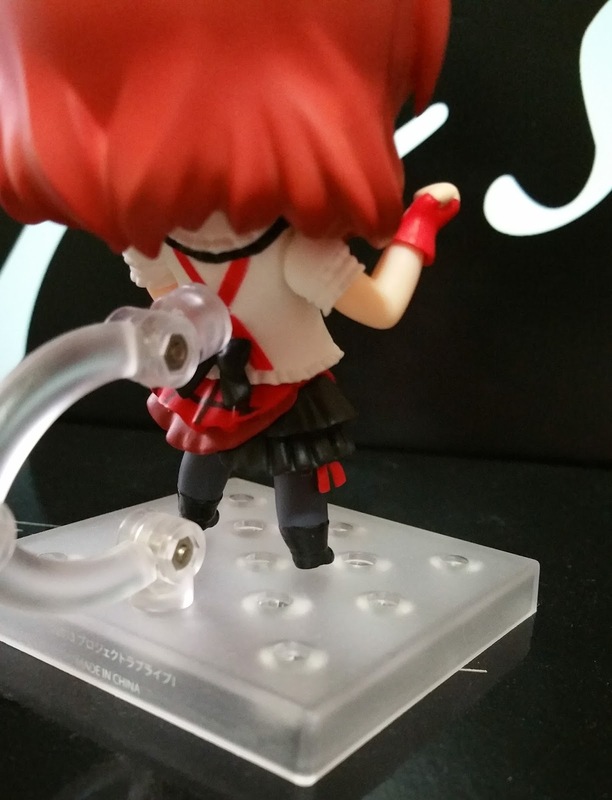 Note that her hair is slightly different from the other Nendoroids. As her hair is bottom heavy, there is another additional peg at the ends of her hair to secure the two pieces together. Make sure that this peg is in place when you put her two hair pieces together and take care to not break it when separating them. 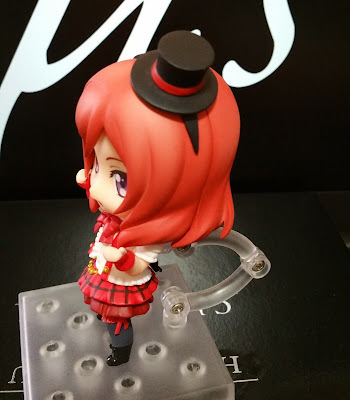 Maki's top hat has rather clean painting, where the red doesn't spill over to the black. 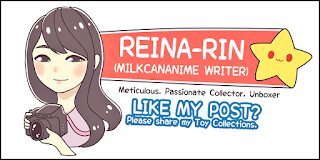 Sadly, Good Smile Company failed to make the red ribbon sash appear more satin-like. 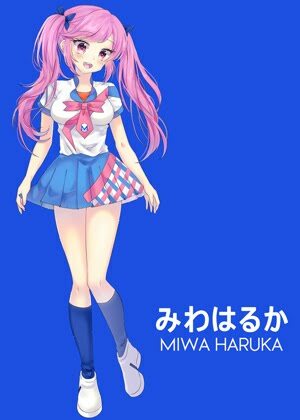 The band that disappears into her hair is also part of the hat, but I would have preferred if it were thinner at the ends so it'll look more like it really did taper off into her hair; or if it covered the hair seam, even if just partially. From the other side of her, we see that the hair band part of her hat is longer on this side and actually does cover the hair seam. This helps out quite a fair bit in my copy because the hair seam for Maki here is a little too obvious for my liking! 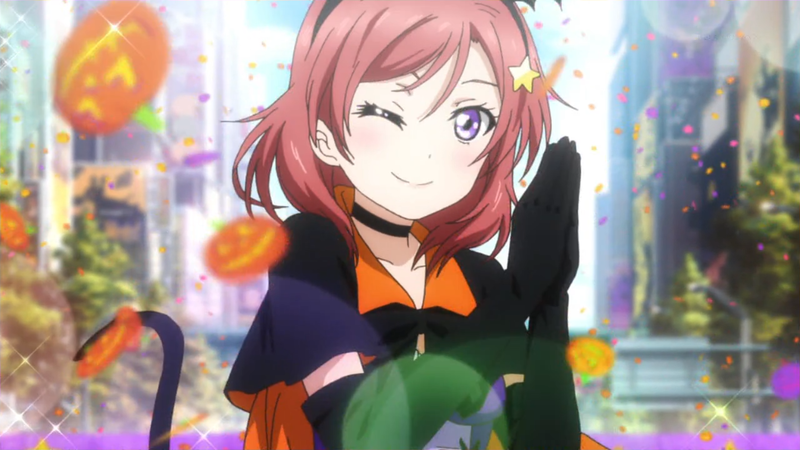 Noting Maki's outfit, it's definitely in no way less perfect than Nico's. 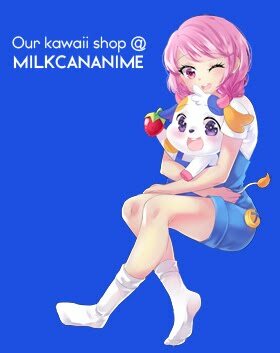 The ruffles are carefully sculpted, whether it's the super tiny ones on her stockings, small ones on her sleeves or the larger ones on her skirt! Similar to Nico's the boots are covered in a shiny paint, making them look impeccably clean. The crisp painting on her blouse helps bring the outfit to life as well. Thankfully for Maki, she only has a single ribbon at her front (unlike the two for Nico) so it doesn't look overdone. 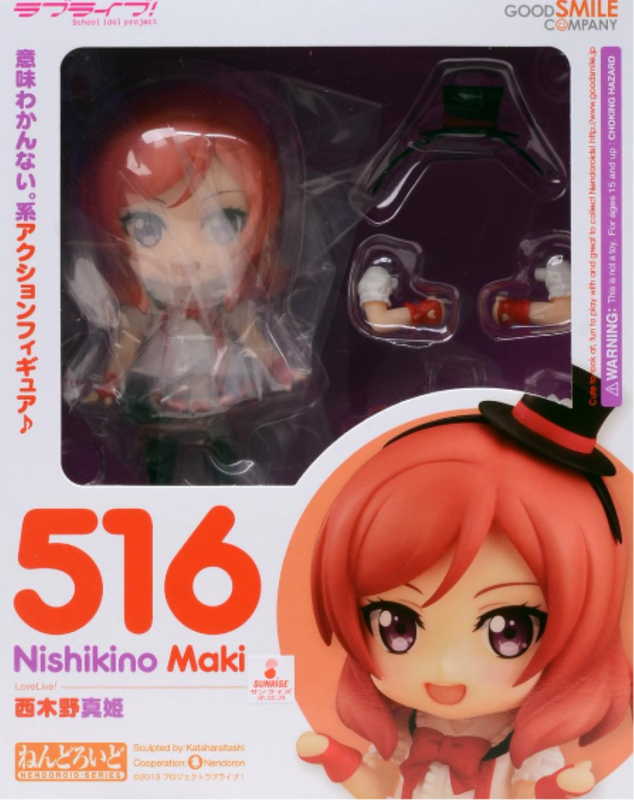 As one of the most popular characters in Love Live!, Maki's Nendoroid has to be rather well done to interest people to purchase her. 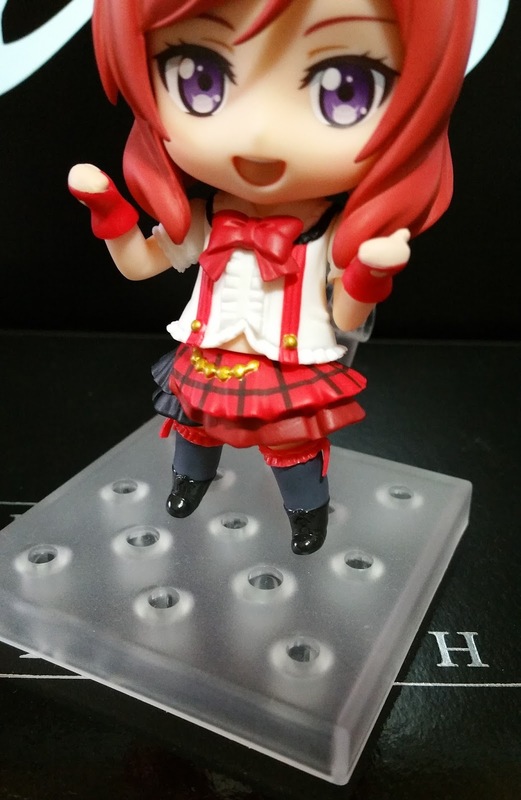 Of course, she isn't the best Nendoroid out there, or the most comprehensive Love Live! 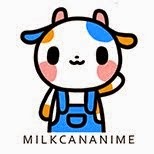 Nendoroid. However, it does help that she came with an additional embarrassed expression which brings another side of her to life which wouldn't usually be seen on stage. Having a "normal off-stage" Maki expression coming with this Stage Version is more of a bonus as most of the other characters only have such expressions in their Training Outfit Version. 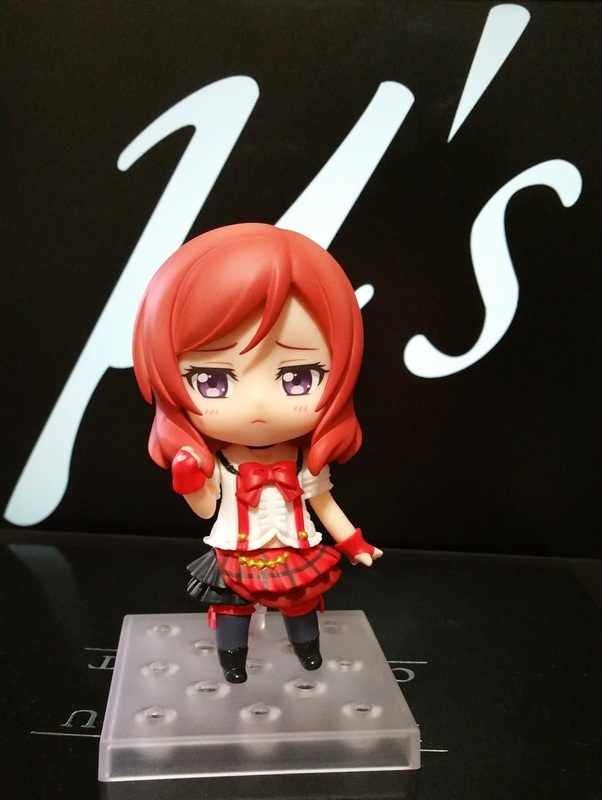 No Comment to " Figure Unboxing and Review: Nendoroid Nishikino Maki Stage Version (Good Smile Company) "